The Heaviest Military Tank Ever Constructed Was Nicknamed The? The Last Slogan Blockbuster Video Used Was? The largest military tank ever constructed was a German World War II-era super tank known as the Panzerkampfwagen VIII Maus. Although the tank never saw combat (it was still under development and being tested when the Soviets captured the testing grounds), it was an absolute behemoth of a combat vehicle. The Maus had a length of 33 feet 6 inches, a width of 12 feet 2 inches, a height of 11 feet 9 inches, and weighed an astounding 188 metric tons (by comparison, the well known modern U.S. tank, the M1 Abrams, only weighs 54-65 metric tons, based on its configuration). So why call such a beast Maus (German for mouse)? 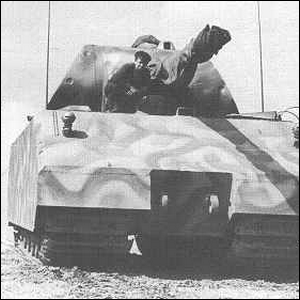 The Germans had a habit of naming their tanks after animals (like the Tiger, Panther, and Lion tanks), and the Panzerkampfwagen VIII was no exception. Early on in the design process, it was appropriately called the Mammut (Mammoth). Along the line, the nickname was changed to Mauschen (Little Mouse), ironically, we have to assume, and then shortened to Mouse. The name stuck and throughout the rest of the design and testing process, “mouse” it was.